Cougar Natural Range was launched in the summer of 2018. A variety of skin care products with Super Foods, Donkey Milk, Quinoa and more. Quinoa contains high levels of vitamin E that neutralize the oxidant effect of free radicals—molecules that damage collagen—from sun and pollution exposure. Amino acids and peptides found in Quinoa get into the dermis [deeper skin] and can trick the body into thinking collagen is broken, and stimulate it to create new, healthy, young collagen. Donkey milk has been used and praised for thousands of years as a great health and cosmetic ingredient, the longevity of the world's oldest woman, Maria Esther de Capovilla from Ecuador, was put firmly down to the wonders of donkey's milk. The milk has 60 time the vitamin C content as cow's milk as well as containing vitamins A, D and E, and is a rich source of calcium and phosphorous. In line with our values we are happy to present a brand of high quality products, completely manufactured in UK. A complete skin care range, products with Super Foods, Donkey Milk and Quinoa, how exciting! Quinoa contains high levels of vitamin E that neutralize the oxidant effect of free radicals—molecules that damage collagen—from sun and pollution exposure. Amino acids and peptides found in Quinoa get into the dermis [deeper skin] and can trick the body into thinking collagen is broken, and stimulate it to create new, healthy, young collagen​​​​​​​. Kale is a very good cleanser for skin. It detoxifies your body from within and hence translates into a healthy glowing skin outside, ​​​​​​​it has been proved helpful in preventing a host of skin diseases as well. ​​​​​​​Kale contains a lot more antioxidants than most other green leafy vegetables, antioxidants are a great way of reducing wrinkles as they slow down the ageing process and helps in preventing free radical cells damage to skin. 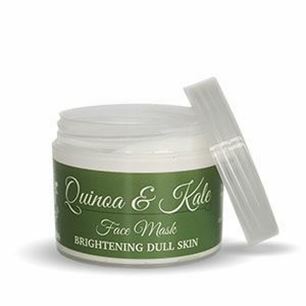 Gently bring your skin into balance with calming quinoa and kale. Help support your skin’s natural oils. 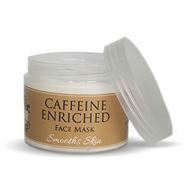 Remove pollution and the day’s toxins with gentle face mask for refreshed skin at any age. Say goodbye to dry skin and hello to total hydration with the donkey milk set. These gorgeous formulas provide concentrated immediate and long term hydration for an ultra radiant complexion all year round. Its rich texture envelops the skin with a delicious milky veil. Deanna "Усещам кожата си мека и овлажнена след тази маска. Много добър продукт и препоръчвам." Victoria "Интересен продукт с хубав аромат." Sonya "Използвам го за косата - чудесен продукт, оформя, изглажда и ароматът му е хубав."